Ixpress deliver around the clock 365 days a year and even during public holidays. Providing delivery dispatch and van delivery service of document and parcel anywhere and anytime in Singapore at a cheap and affordable rate. Get notified once your document or parcel has been picked up and delivered by SMS and Email. Receipt will also be sent to you once your order is confirmed. 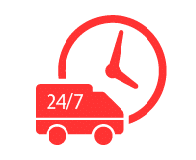 We provide full coverage professional courier service to all from same day, next day and urgent deliveries. 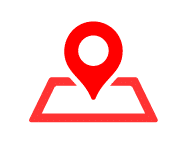 You will get your courier tracking link where you can pinpoint the driver’s location live at every step of the delivery process. Track using your mobile phone to have full details of the driver’s location and contact. 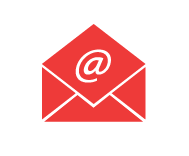 All your receipts, proof of delivery, courier notice and status will be sent via email. No papers are unnecessarily wasted. Chat with us anytime and ask us any questions about your delivery order. From changes of delivery requirements to sales and support questions. Our chat operating hours is from 9am-6pm Monday-Friday. Unlike other courier companies who are taking commission for every trip made. We have our delivery partners pay a small sum daily of less than $2 to maintain our application and website. In this way our drivers are willing to take the job for lesser, and they get to keep 100% of what is paid to them. We create a win-win situation for all. Our pricing starts from only $6. We cater to all orders even if its just a one time delivery or if you are an organization you can use our application to get huge savings in the long run. Get dispatch and van delivery service at the best rates always. Online customer service was responsive and very helpful. Despite one driver cancelled after accepting my booking, they tried to look for another one for me without me having to book all over again. The driver, Adam understood instructions clearly too. Highly recommend. Price is a little steep though compared to other courier services but I feel like you'll get what you pay. My document was pick up on time as promised and was delivered to recipient early within the requested time frame. ixpress647 is efficient and trust able courier service provider in town! Great service! I got the driver Mr. Rizalman, he’s great! Arranged for pickup at 10.30am, he came before 10am and delivered the thing by 10.30am. Great experience!